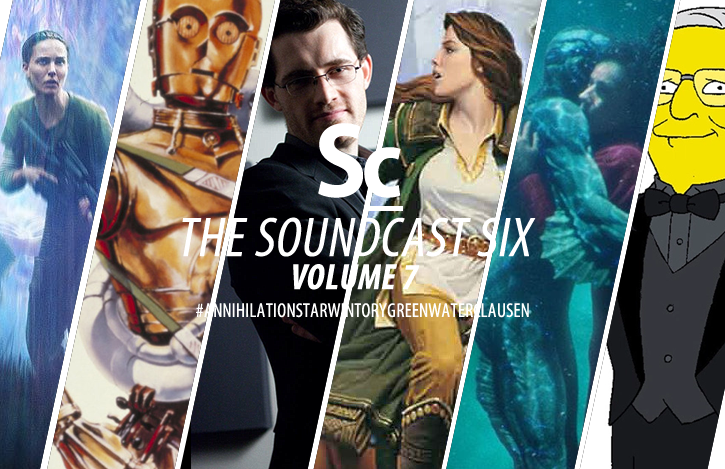 Six new stories from the world of soundtracks! The original score for Annihilation and The Shape of Water, news of yet another release of the Star Wars original scores, Kickstarter projects: A Light in the Void Live Concert and Green Rider Book Soundtrack, and the replacement of composer Alf Clausen by Bleeding Fingers on the ever-running TV-program The Simpsons are the six topics of the night tackled by Christopher Coleman, Kristen Romanelli, and Erik Woods. Remasters of the First Six Star Wars Coming May 4th.